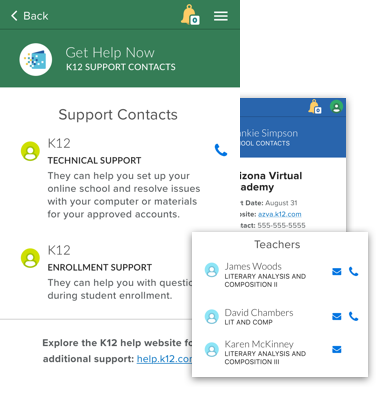 Explore K12 on your smartphone or tablet! And stay tuned, we're continually adding new app features. 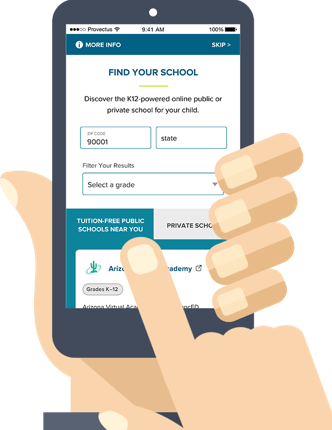 The K12 app is a great resource for parents and legal guardians, keeping you in the loop starting with your online school search all the way through enrollment to the last day of the school year. 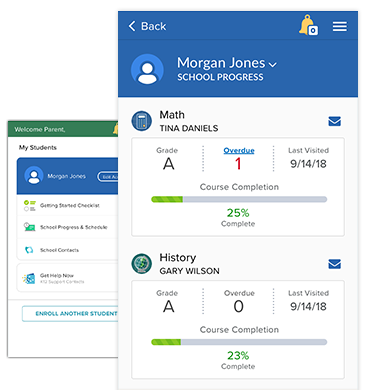 The power to track your student's progress,* as well as access relevant and up-to-date information, is at your fingertips. *This feature is currently available for all MS and HS families, and many elementary families as well. We are working to make this feature available to all families in the upcoming 2019–2020 school year. The K12 app experience may vary by school. If you have questions, call 866.571.4316 for information. Simply type in your zip code or state to see a list of K12-powered schools near you. 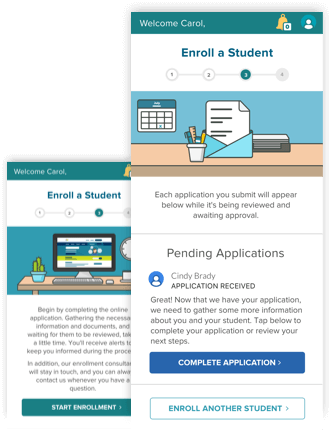 Submit enrollment information and documents, and track and complete the enrollment process all in one place. 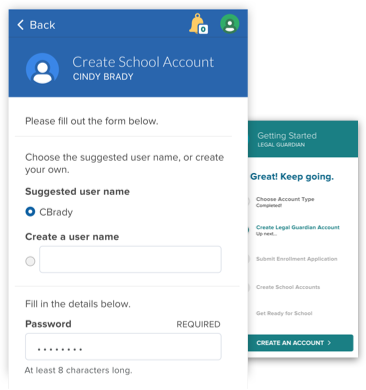 Now there's a mobile-friendly way to set up your parent and student school accounts. 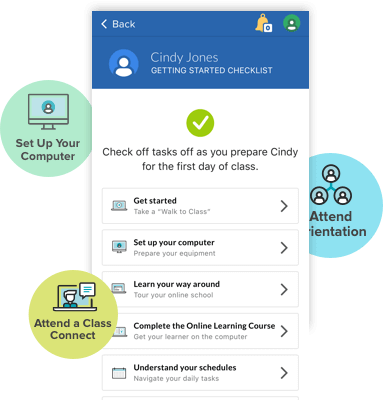 Each step of the way, you'll receive real-time updates—such as when your student's materials have shipped, when courses and teachers have been assigned, and more. Easy-to-access videos and online orientation sessions help prepare you and your student for the first day of school. Contact information for your school's academic administrator, academic support, and teachers are conveniently indexed for you. 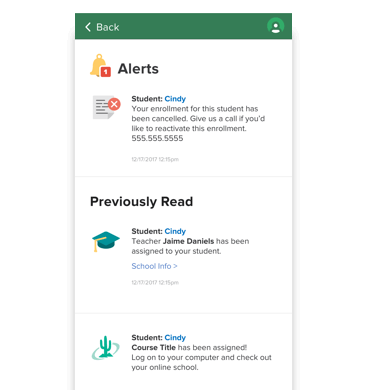 Currently, most K12 app features are only available for K12-powered online managed public schools and are not available for K12-powered online managed private schools or other types of schools powered by K12.